Hey sweets! Can you believe Christmas is just two days away?!?! I can! 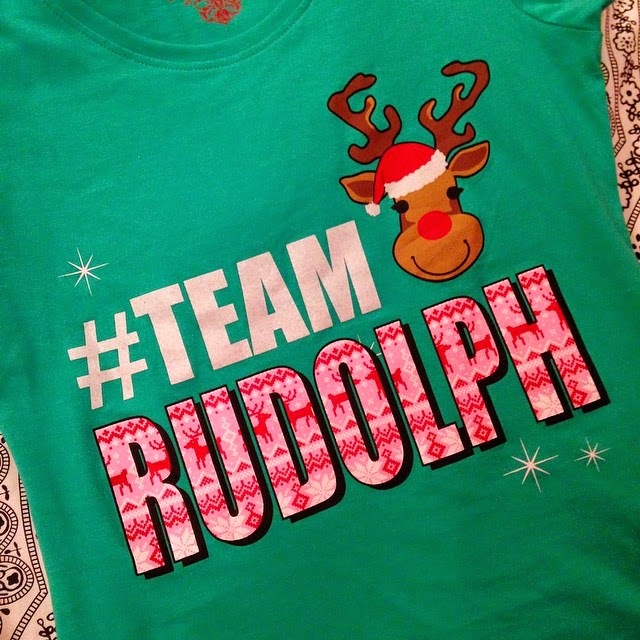 I am so excited for Christmas and I'm even wearing a Christmas shirt today (see the evidence!) as we head out to grab everything we need for Christmas Dinner! As Christmas is fast approaching and my to-do list is growing longer and longer, I've been heading straight to my favourite quick and healthy recipes whenever I need to bring along a plate - so I thought I'd share yet another quick and easy cookie recipe with you! 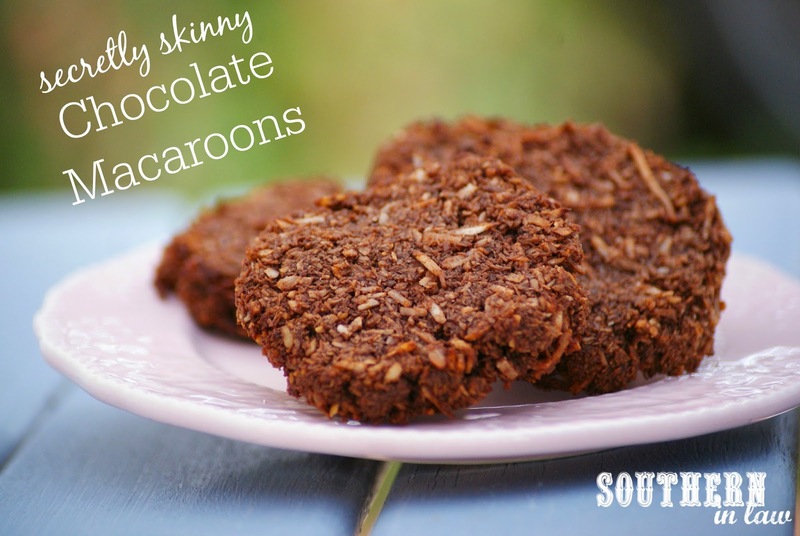 These Chocolate Coconut Macaroons are amaaaaazing - the richness of the coconut and chocolate combine to make a crunchy cookie that you could never guess was healthy. Not only are they gluten free, they're also refined sugar free and made with just 6 ingredients! Whisk your egg whites until frothy and set aside. In a microwave safe bowl or over a double boiler on the stove, melt your chocolate. Mix together all of your ingredients until just combined and spoon onto your prepared baking trays, patting down the mix to form flat disc shaped cookies. Bake for 12-15 minutes or until your edges are crisp and then leave the cookies to cool completely on your baking sheets before serving or storing in an airtight container at room temperature. These cookies will keep for up to a week at room temperature in an airtight container. 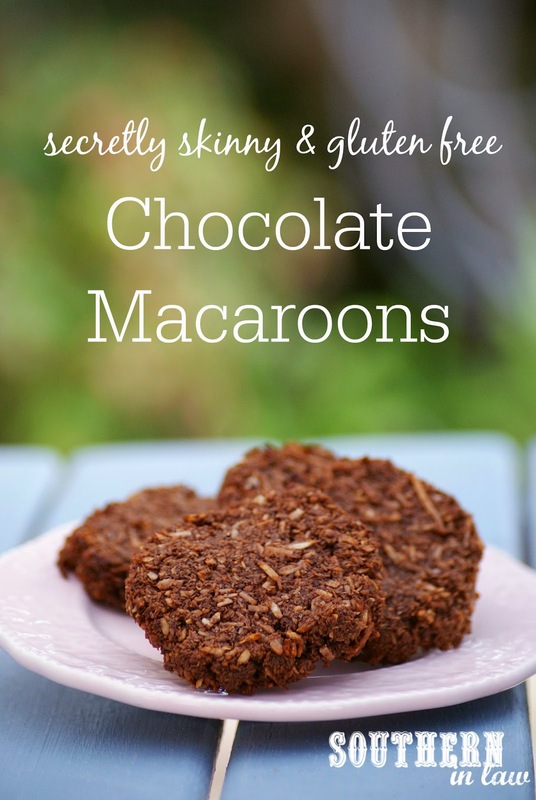 *Be sure to use dairy free chocolate if you want to make this recipe dairy free! But tell me, what are your favourite quick and easy recipes when you need to make something in a rush? I always go for cookie recipes that don't need to be chilled (like our Healthier Snowball Cookies Recipe or Healthier Peanut Butter Chocolate Chip Cookies Recipe) or recipes that can be served either hot/warm or cold so that I can either make them in advance or literally take them out of the oven/pan and go! Are you using "sweetened" cocoa powder, and if I'm using "unsweetened" how can I make up the sweetness.